If you're a big fan of Sloan you know that the Canadian band has four singer/songwriters of nearly equal ability, a key to their greatness. I've always thought they should each release solo albums (maybe simultaneously a la KISS), and among the four my favorite has been keyboardist Jay Ferguson, who seems to write the purest pop songs of the bunch. 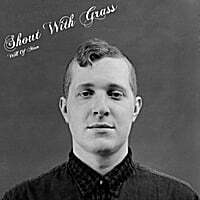 But until that day comes, the closest thing we're going to get to a Jay Ferguson solo album is the full-length debut of countryman Max Sensini, who records as Shout With Grass. Will of Man builds on the promise of his 2009 EP And Then Again and is a pop delight. Like Ferguson (whom Sensini also resembles vocally), his songs are piano-based but not overly showy as many other piano-based poppers tend to be. "Hey Bird" opens things in a low-key Lennonesque fashion, reminiscent of "Imagine" or his solo piano version of "Free as a Bird", while "With the Queen" is a bouncy slice of pop that swings to the McCartney side. The lightly orchestrated "Think of Me" is another standout, as is "Walk the Tightrope" a carryover from the EP that earns its encore on the full-length. The best thing I can say about this disc, though, is the uniformity of quality among its 10 tracks, and it closes as strongly as it finishes with the catchy "Woman", the dreamy "Hole in the Sky" and the majestic title track. Sensini has emerged as a real pop talent here, and if I leave this one off this year's top 20 feel free to shoot me an email reminding me to listen to it again. Since posting has been light lately, we're going with three for Thursday today instead of the usual two. 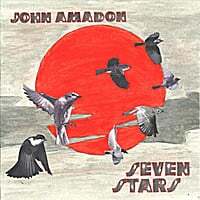 John Amadon-Seven Stars. At long last, here is the Elliott Smith album you've all been waiting for and thought you'd never get. Hailing from Smith's hometown of Portland, Oregon, Amadon channels that late singer-songwriter's XO/Figure 8 period, which means things lean to the Beatlesque side of Smith's sound than his earlier, folkier releases. And that's a good thing around here. The standout tracks here are "Let's Talk Without Talking", the soft/heavy dynamic of "All Patched Up" and the lovely "Bitter Tears". A real treat. Tim Culling-Goodbye Western Sun. It's hard to pigeonhole singer-songwriter Tim Culling's sound without resorting to generic categories like "adult alternative pop/rock" as he offers up a little bit of pop, a little bit of rock, a little bit of soul and a little bit of alt-country in his sound. It all adds up to a winning mixture on this 7-track EP, led by the outstanding title track, which has an insistent piano hook that will bury itself in your subconscious, "So With That Aside", its bookend, is another brilliant number with an upbeat melody, and in between the Wilco-esque "This Much I Can See" and the bluesy "I Got a Friend" are the highlights. Possibly 2011's top EP to date. 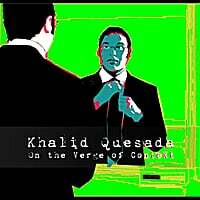 Khalid Quesada-On the Verge of Context. New Jersey's Khalid Quesada is a singer-songwriter sound who has a way with a pop hook, and he demonstrates that clearly on his debut EP. Coming in somewhere between the aforementioned Elliott Smith and Rivers Cuomo, Quesada is equally at home with both the power pop ("Radio Silence", "Proverbial Knives") and more introspective numbers ("Angel in the Dark", "World Without"). It's all melodic, and has me looking forward to his full-length debut promised for later this year. 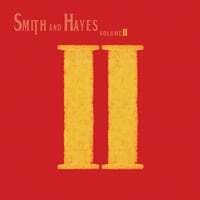 Clay Smith and Bill Hayes burst upon the power pop scene in 2007 with Changed by a Song, a classic steeped in the sounds of The Beatles and Jeff Lynne that has to be on the short list of top power pop albums of the previous decade. Four years later, the followup is ready. And while Changed by a Song is a tough act follow, Volume II is a solid, worthy successor. The main difference this time around is that they go for a more direct Beatlesque sound rather than the Beatles-via-Lynne style on the debut. This becomes apparent right off the bat with "Learning How to Love", which owes a debt to "Instant Karma", but doesn't slavishly imitate that track, offering a wondefully melodic chorus that's all their own. After the ballad "All the Love in the World" comes the midtempo McCartneyesque "All Your Life", which mines Macca's late 60s/early 70s sound. Also a treat is the breezy "Wake Up to Now", which fills the George Harrison change-of-pace role. The album's standout is the uber-catchy "Turn it Up", a direct Beatle homage that starts off with the line "It was 40 years ago today", and name drops Murray The K and refers to various points in Beatle history. Other highlights include the lovely ballad "Save the Day", the Eastern sounds of "The Road to Bodhicitta", the "Honey Pie"-like "Fab", and the rocker "For a Chance" which draws on "I've Got a Feeling". And in case you were still wondering about the extent of Beatle influence, they throw in a slowed-down cover of "You Won't See Me". Once again, the sheer joy of their love for Beatlesque music shines through, making this a must-have for anyone who loved the first album.